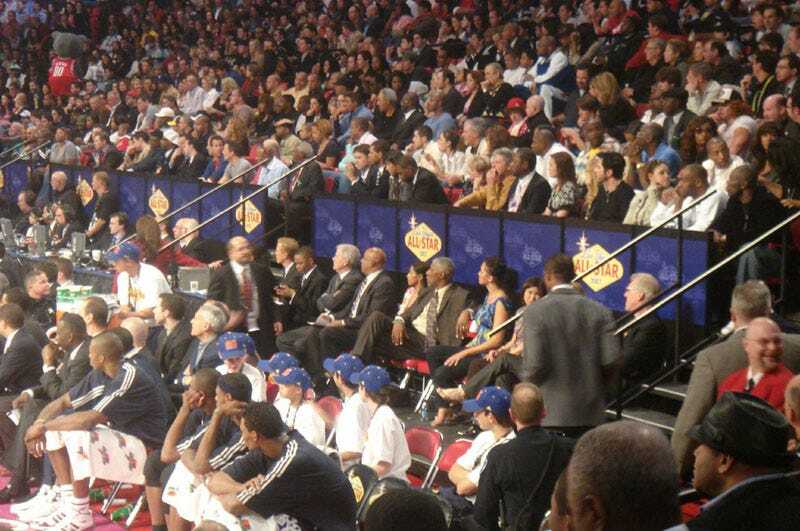 So here's a fun end-of-day game from The 700 Level: See how many "celebrities" you can spot in the stands of the NBA All-Star Game over the weekend. No bonus points, sadly, for recently conceived fetuses, just the night before, being mainlined Red Bull through umbilical cords. OK, now see if you can find the strippers that were bitten and the bouncers shot. There should be plenty of those too.